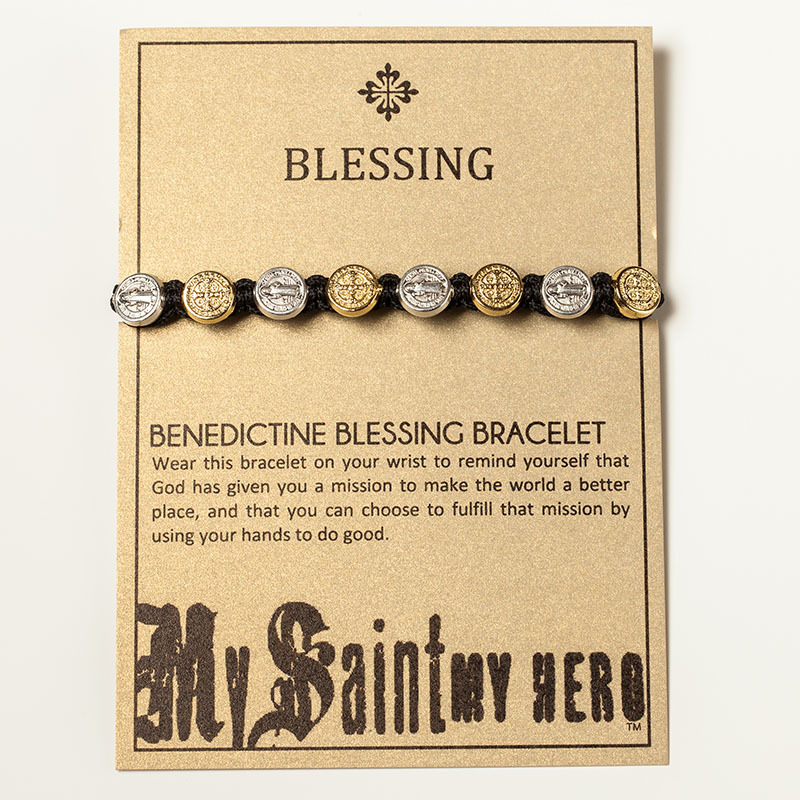 GIVE THE GIFT OF A BLESSING This Blessing Bracelet is hand woven in Medjugorje featuring 10 Benedictine medals and our signature “blessed” tag. 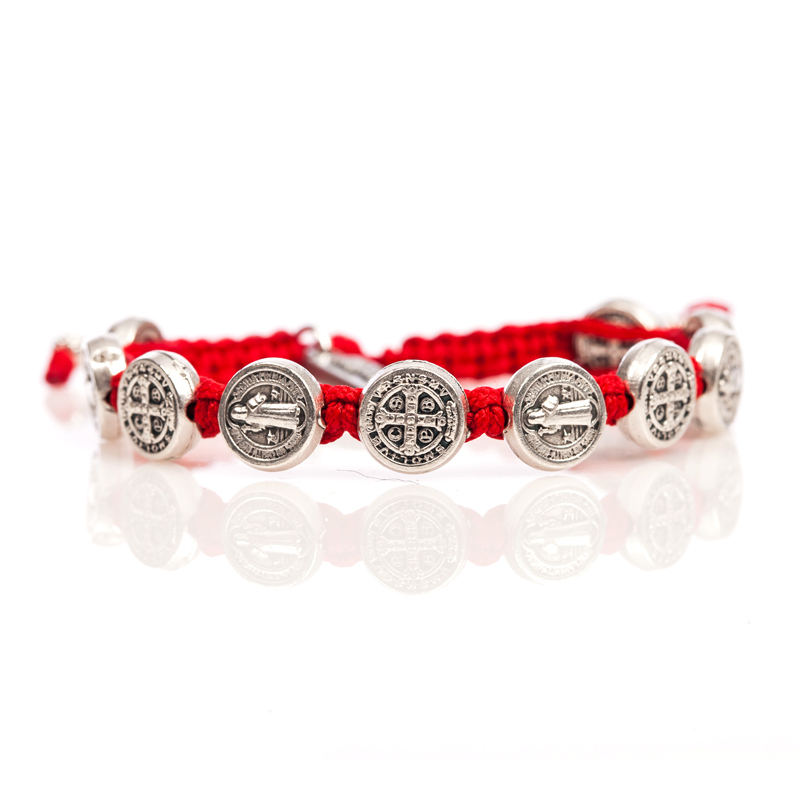 Each bracelet comes on a card telling the story of Medjugorje and the powerful protection of the Benedictine medal. The sliding slipknot closure, enables them to fit nearly everyone perfectly.